This solution selling guide is for MSPs interested in providing WiFi authentication and security for their customers. WiFi authentication and security is where end users are required to uniquely authenticate into the network, and is usually done through their core credentials that they use to access their systems and other IT resources. By leveraging the RADIUS protocol, the end user is usually only required to enter his or her credentials once. From there, users are uniquely authenticated to the network ensuring greater security over a shared SSID and passphrase. Why has this approach to network security become such a powerful selling point? One 2019 study found that 80% of SMBs are worried that they will be the target of a cyber attack in the next 6 months, and 75% think more emphasis should be placed on security. WiFi Authentication addresses these concerns by enforcing secure access and dramatically reducing the chances of an attacker infiltrating the WiFi network. Most organizations are leveraging WiFi networks now. As made evident from various data breaches throughout the last 10 years, security of WiFi networks has been weak historically. Shared credentials are used to access the network and these are often even posted on whiteboards within the company or put on the wall to enable easy access. Further, because WiFi signals can be picked up outside of the organization’s office, attackers within reach can use open source tools to hack the credentials. Once on a WiFi network, an attacker can probe for IT resources (systems, servers, file servers, applications, and more) that are insecure, valuable, and hackable. A simple, yet powerful method to protect against this network vulnerability is to require each person to use their private credentials to access the network in addition to the shared SSID and passphrase. This is accomplished by using a FreeRADIUS server which bridges the authentication to the core identity provider. A user’s credentials are automatically sent to the WiFi access point which then forwards them to the RADIUS server. The RADIUS server in turn forwards the authentication to the identity provider which returns a success or failure message. If the user is successfully authenticated, they are let on to the network. This is completely seamless from the end user, but dramatically steps-up security for the organization. Historically, IT organizations haven’t taken this approach because of the hassle involved in setting up a FreeRADIUS server as well as integrating all of the components together: WAPs, RADIUS server, directory service, and client endpoints. The amount of time and effort required to get these components operating together with an on-prem FreeRADIUS server (requiring its own installation and maintenance) quickly adds up. The JumpCloud® Directory-as-a-Service® platform includes the turnkey functionality for WiFi authentication and security. 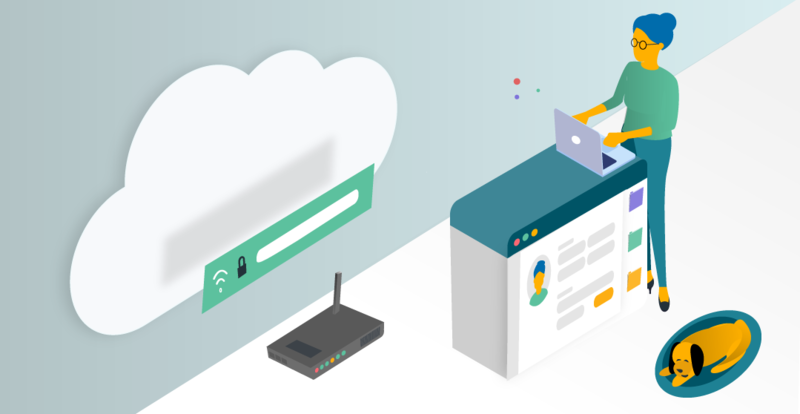 Called RADIUS-as-a-Service, JumpCloud’s solution provides all of the infrastructure required to execute on uniquely authenticating users to the network. MSPs simply point their client’s WAPs to the cloud RADIUS service and populate users into the cloud directory and only those users intended to have access can gain network access. A client’s network security has been dramatically enhanced without the heavy lifting of setting up RADIUS servers and integrations. MSPs can leverage this section to help create email campaigns, web pages, and/or other collateral needed for sales. To learn more about how you can provide WiFi authentication and security to protect your clients’ businesses, drop our Partner Account team a note..A representative will follow up and can work with you to create co-marketing campaigns, set up joint calls, or even schedule a joint webinar. If you haven’t already, sign up for a free account with 10 users for free for each client, and apply to be a Partner today.